Aura finished her Championship with 3 major wins. 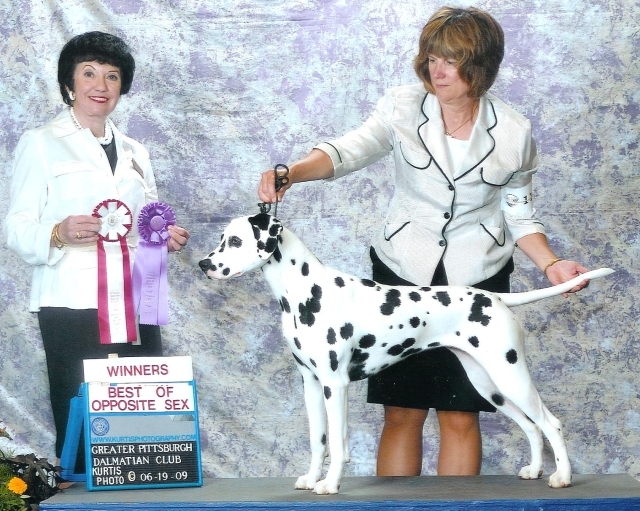 In her first weekend showing, Aura was BOB and won her first major that same weekend. Aura's other majors were a BOS at the Pittsburgh Specialty and a BOW at the Specialty supported Douglasville KC (Atlanta). Aura was also Best in Sweeps at Chicagoland. Aura has a great topline and impeccable movement. She is BAER Bi-lateral, ISD clear(CERF).